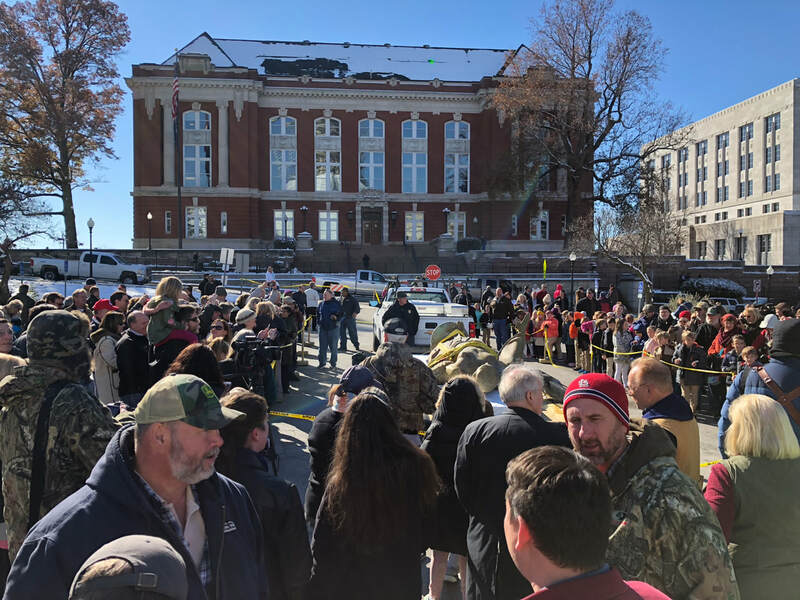 The sculpture of Ceres was successfully removed from the top of the dome of the Capitol of Missouri! Very large crane and CSOS truck ready for the Ceres sculpture. 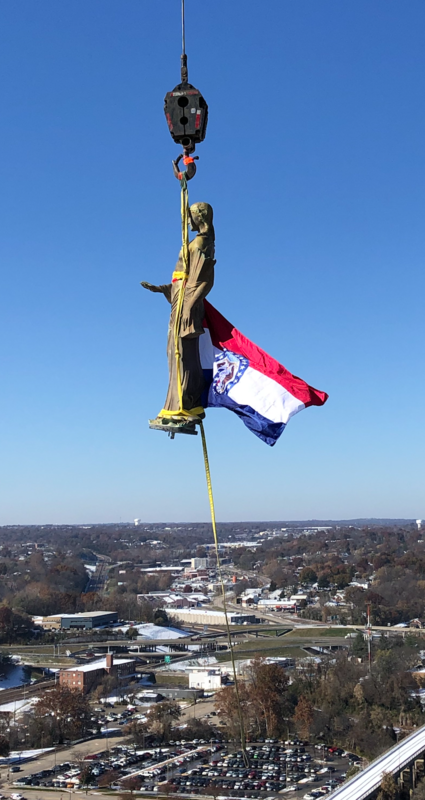 Ceres sculpture in the air with Missouri state flag. Crowds viewing Ceres on the ground. Dr. Andrzej Dajnowski with Ceres as she is loaded into an air-ride CSOS truck for her trip to Chicago. 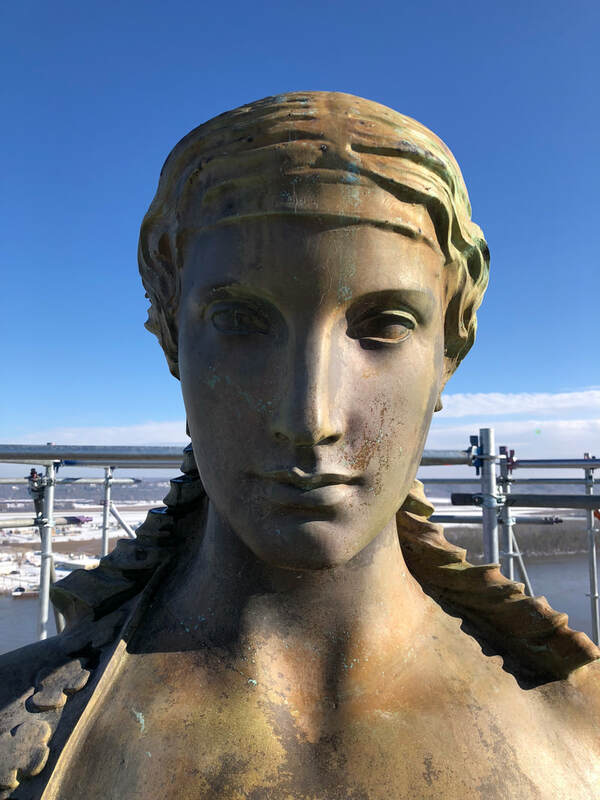 CSOS is happy to report that the removal of the Ceres sculpture from the top of the Capitol of Missouri in Jefferson City was a total success and she is on her way to our facility for conservation treatment which will include laser cleaning. 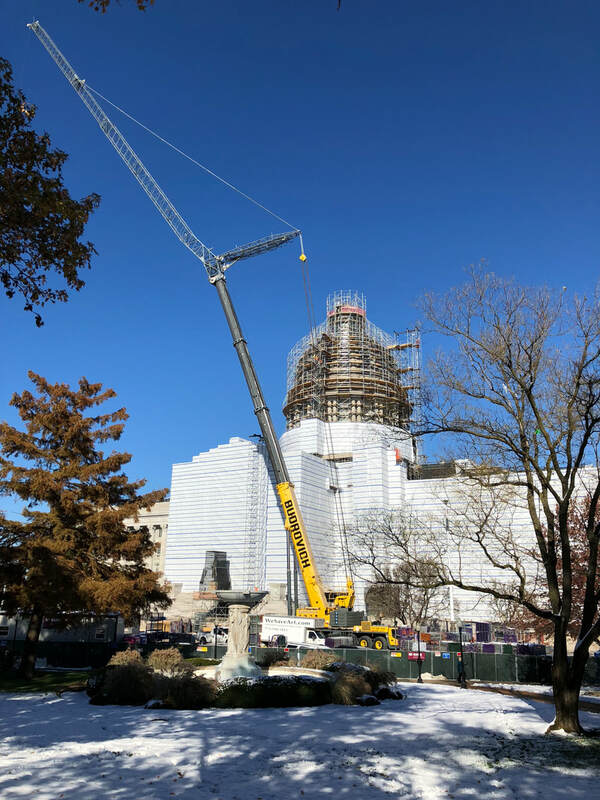 We are excited to be working on this project and are grateful to Jefferson City and Bulley & Andrews Construction for trusting us with this iconic sculpture. It was a very eventful and special day today for all of us. Click here or here or here to see some media coverage. 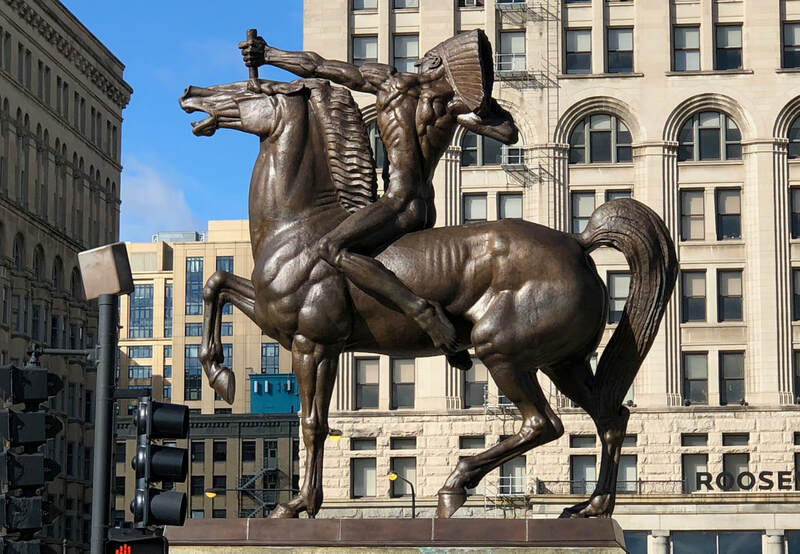 The conservation of the Bowman and Spearman on Michigan Avenue in Chicago is complete. The Bowman bronze sculpture after conservation treatment. Dr. Andrzej Dajnowski last treated these magnificent bronzes for the Chicago Park District in 1995. in 2018 they underwent a conservation maintenance treatment that included a thorough laser cleaning and application of a new protective coating. 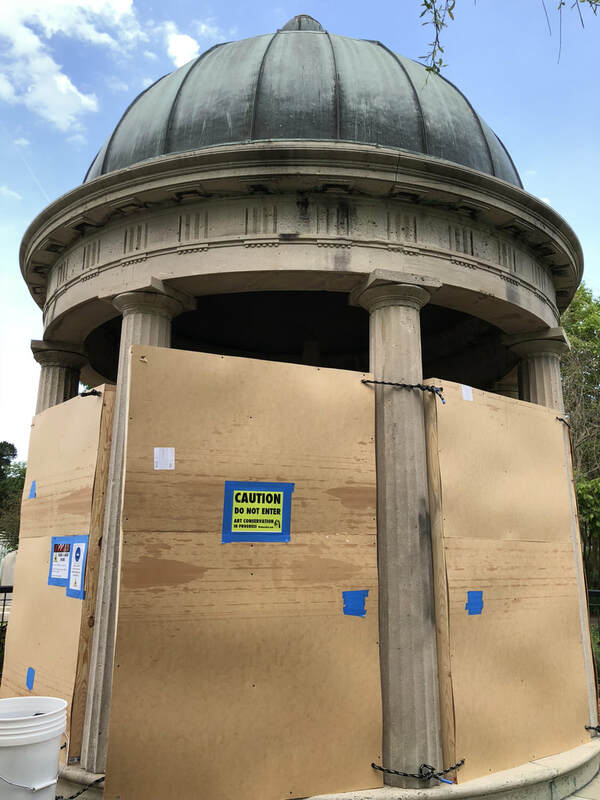 Graffiti removal from President Andrew Jackson's tomb is complete! .We are honored that the Hermitage in Tennessee entrusted us to remove graffiti vandalism from the tomb of U.S. President Andrew Jackson and his wife Rachel Jackson. One of the key tools that CSOS used to reverse and remove the graffiti was the GC-1 laser cleaning system. 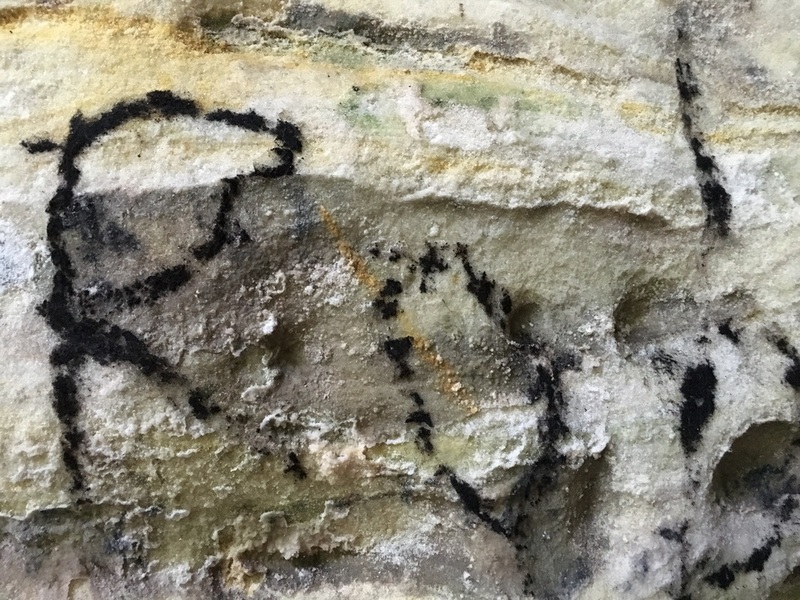 Thanks to the quick actions of the Hermitage and the successful conservation treatment, the acts of these vandals have been erased. There is a local media link Here. 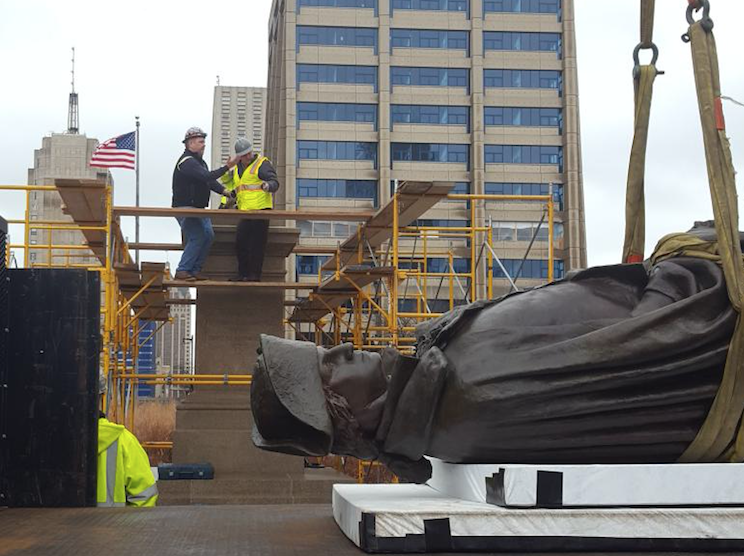 Milwaukee's oldest monument returned home today! 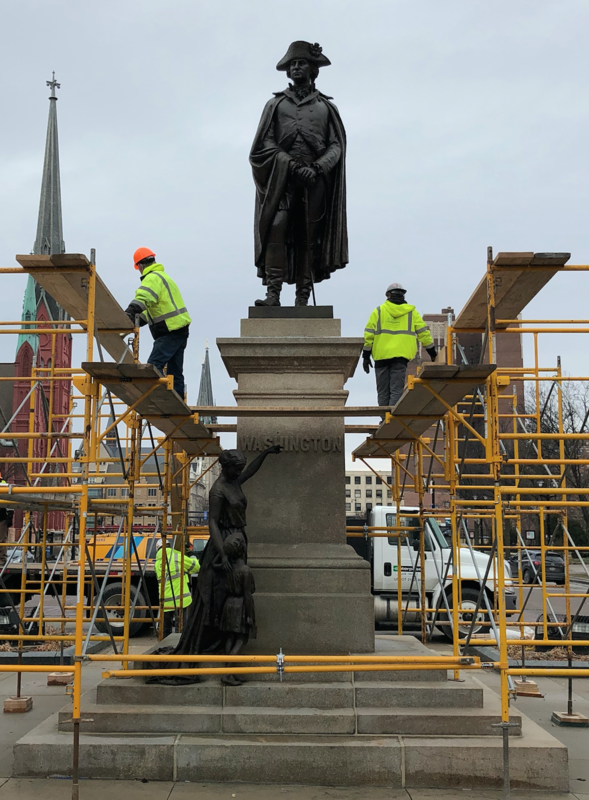 Milwaukee Wisconsin's oldest monument went through a successful conservation treatment at CSOS and we are happy to be reinstalling it today, January 11, 2018. This historic bronze monument was cast in Florence in 1885. 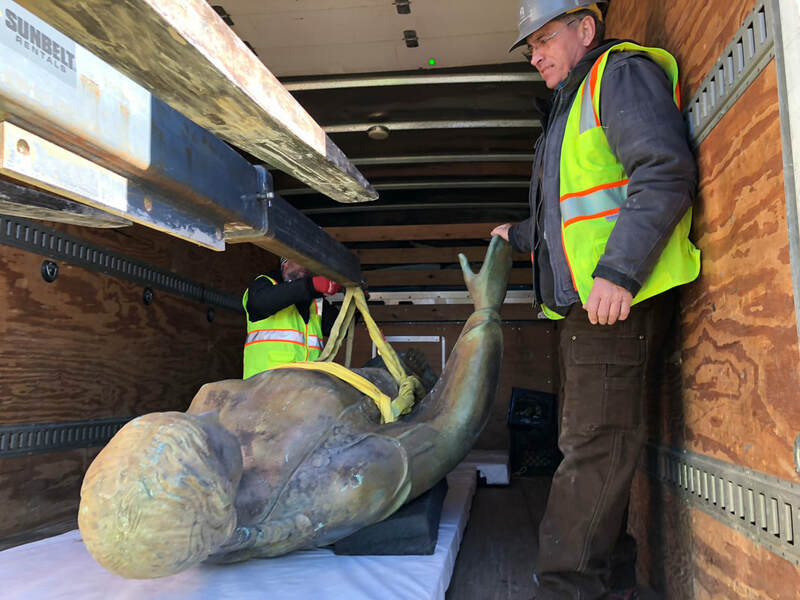 The extensive conservation treatment included careful laser cleaning of the surface, removing over 1,000 pounds of hardened sand-like material material and iron from inside the sculpture, and structural repairs. You can see some media coverage Here and Here. Jefferson Memorial Laser Cleaning Was a Success! The laser cleaning of the Jefferson Memorial was a success! We have cleaned a 1000 square foot test area of the dome for the National Park Service. The scaffold is being removed now. Here is a recent story on ​NBC. Update On Laser Cleaning the Jefferson Memorial and the U.S. Supreme Court! 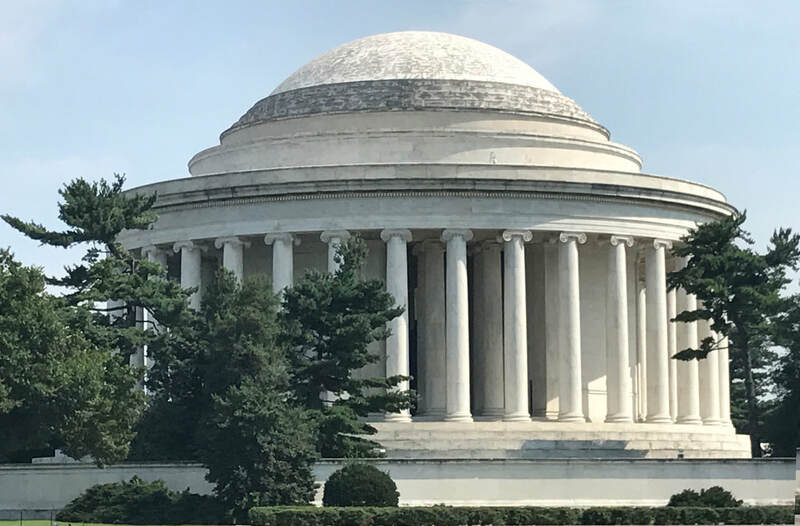 Locals in Washington D.C. will notice this weekend that we have temporarily taken down the tarps on our scaffold on the Jefferson Memorial dome. We did this to examine our work under full natural light. This means you can have a sneak peak of the areas of the dome that have already been laser cleaned. We are also in full swing on another phase of laser cleaning the marble facade of the U.S. Supreme Court. Laser Cleaning the Jefferson Memorial and the U.S. Supreme Court! CSOS is very active in Washington, D.C. this year. As of September we are finishing up another successful phase of laser cleaning the marble facade of the U.S. Supreme Court and we are also starting to laser clean the Jefferson Memorial. Our unique environmentally friendly G.C. 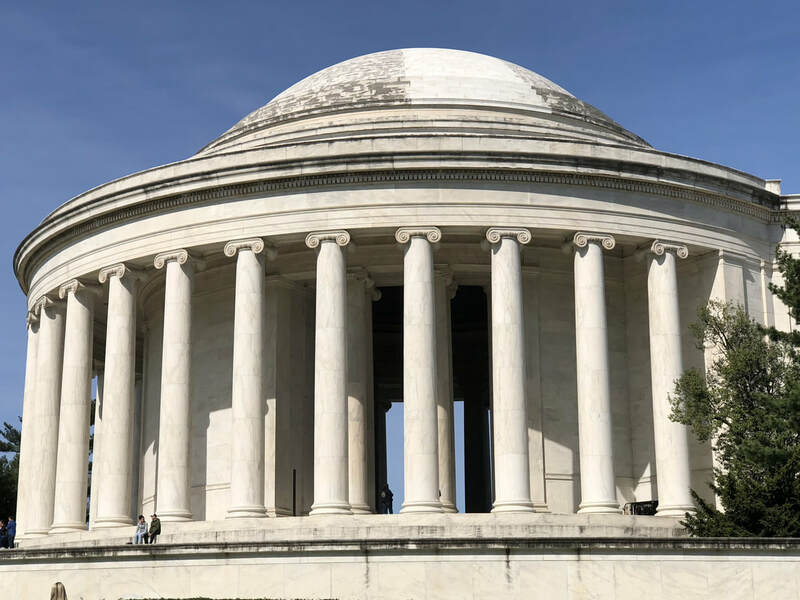 Laser Systems are able to safely remove the black biofilm from the Jefferson Memorial stone surface without using any chemicals or leaving any residues. The Hamilton Monument is Back! 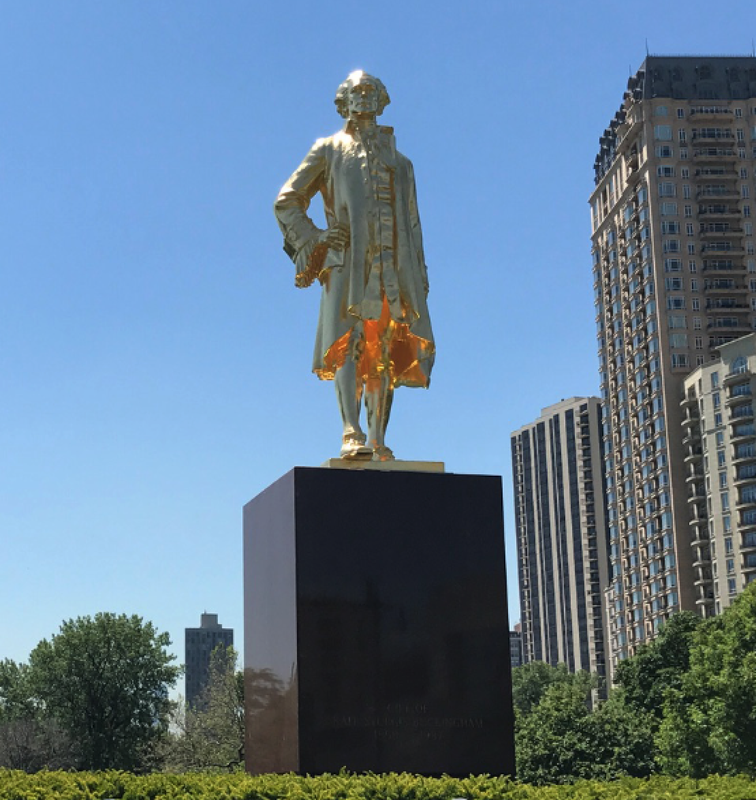 On 6/8/17 CSOS successfully reinstalled the massive gilded monument of Alexander Hamilton in Chicago's Lincoln Park. The sculpture underwent a thorough laser cleaning, extensive research, and re-gilding before being returned to the park. On 6/2/17 we will be hosting a laser workshop with G.C. Laser Systems for the American Institute for Conservation of Historic and Artistic Works which will be having its 45th annual meeting in Chicago. Click here to see the AIC workshop schedule page and here to register for the workshop. We will also be offering a full 3 day laser training program for conservators. On 2/1/17 Google honors Edmonia Lewis and features her Death of Cleopatra sculpture on its' search engine homepage. This unique marble sculpture was conserved by CSOS Director, Dr. Andrzej Dajnowski, and is on display at the Smithsonian American Art Museum. 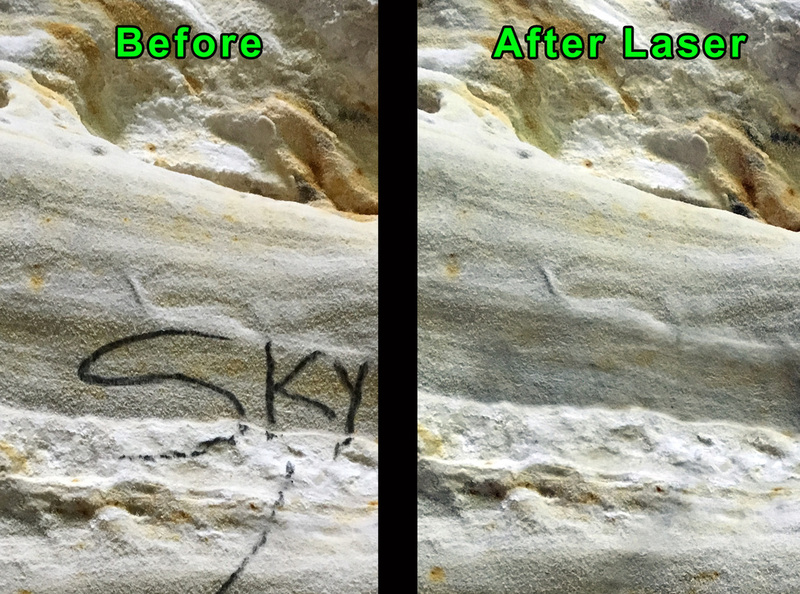 Graffiti removal at Starved Rock State Park was a success! 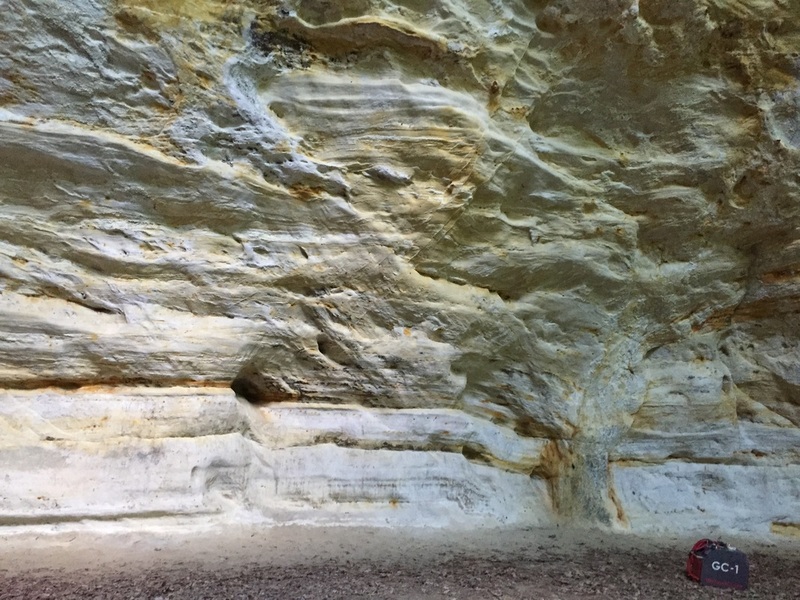 Starved Rock State Park is vandalized. CSOS will help erase the graffiti on 6/7/16 with lasers. 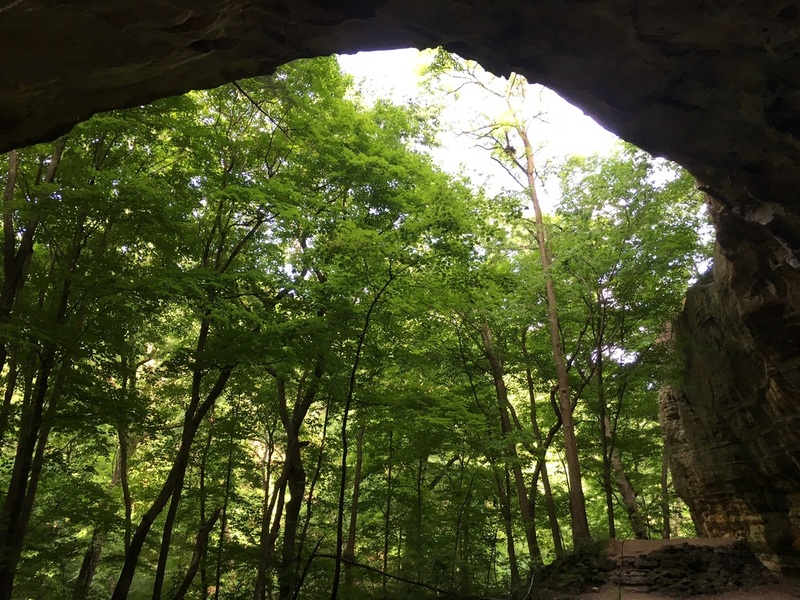 ​CSOS is responding to the vandalism that took place in the beautiful Starved Rock State Park over Memorial Day Weekend (story here). We will use the environmentally friendly GC-1 laser cleaning system to vaporize graffiti off of the natural stone. We feel it is important to remove graffiti quickly before it may encourage additional vandalism. In light of the parks current budgetary constraints, we will be donating our services to help preserve this unique natural wonder in Illinois. 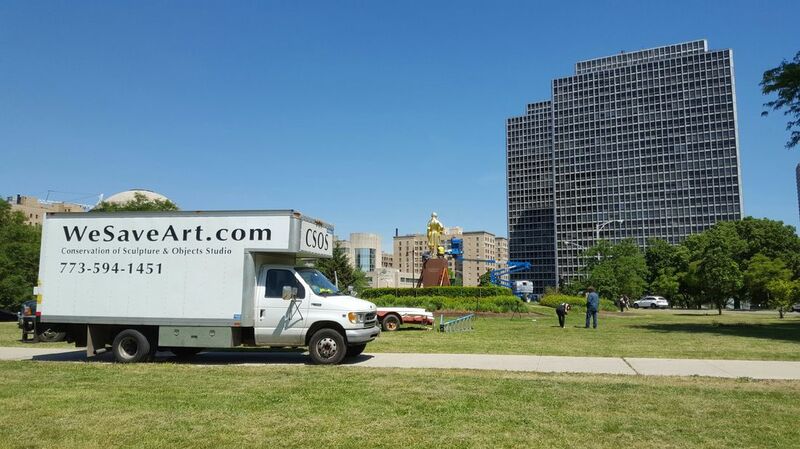 Chicago Tribune story about CSOS laser cleaning of Alexander Hamilton Monument on 4/6/16. We are laser cleaning the bronze monument to remove corrosion, failed gilding, and primer in order to prepare the surface for re-gilding. You can see the story printed in todays paper or online here. The Charitas sculpture is back! 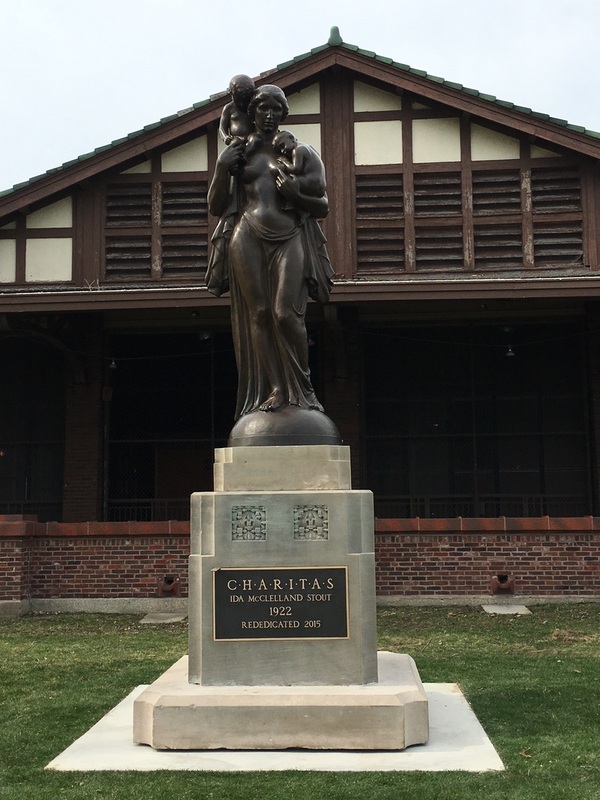 We were sad to see it leave CSOS, but were are happy that the Charitas sculpture was installed on its' original base in Lincoln Park on 3/22/2016 so the public can enjoy it once again. CSOS hosts the 2016 APT WGLC annual winter meeting on 2/16/16. We were very honored to host the 2016 annual winter meeting for the Association for Preservation Technology Western Great Lakes Chapter on February 16th. Laser cleaning trials on the Oklahoma Capitol building. CSOS traveled to Oklahoma City to test how the GC-1 lasers can help in the extensive Oklahoma Capitol Restoration project. Check out the video from OklahomaOMES below to see the results. © 2018 CSOS INC. All rights reserved.